For the stage play based on the film, see The King's Speech (play). The King's Speech is a 2010 British historical drama film directed by Tom Hooper and written by David Seidler. Colin Firth plays the future King George VI who, to cope with a stammer, sees Lionel Logue, an Australian speech and language therapist played by Geoffrey Rush. The men become friends as they work together, and after his brother abdicates the throne, the new king relies on Logue to help him make his first wartime radio broadcast on Britain's declaration of war on Germany in 1939. Seidler read about George VI's life after overcoming a stuttering condition he endured during his own youth. He started writing about the relationship between the therapist and his royal patient as early as the 1980s, but at the request of the King's widow, Queen Elizabeth The Queen Mother, postponed work until her death in 2002. He later rewrote his screenplay for the stage to focus on the essential relationship between the two protagonists. Nine weeks before filming began, Logue's notebooks were discovered and quotations from them were incorporated into the script. Principal photography took place in London and around Britain from November 2009 to January 2010. Hard light was used to give the story a greater resonance and wider than normal lenses were employed to recreate the Duke of York's feelings of constriction. A third technique Hooper employed was the off-centre framing of characters. The King's Speech was a major box office and critical success. It was widely praised by film critics for its visual style, art direction, screenplay, directing, score, and acting. Other commentators discussed the film's representation of historical detail, especially the reversal of Winston Churchill's opposition to abdication. The film received many awards and nominations, particularly for Colin Firth's performance. Censors initially gave it adult ratings due to profanity, though these were later revised downwards after criticism by the makers and distributors in the UK and some instances of swearing were muted in the US. On a budget of £8 million, it earned over £250 million ($400 million) internationally. At the official closing of the British Empire Exhibition at Wembley Stadium, Prince Albert, Duke of York, the second son of King George V, addresses the crowd with a strong stammer. His search for treatment has been discouraging, but his wife, Elizabeth, persuades him to see the Australian-born Lionel Logue, a non-medically trained Harley Street speech defects therapist. "Bertie", as he is called by his family, believes the first session is not going well, but Lionel, who insists that all his patients address him as such, has his potential client recite Hamlet's "To be, or not to be" soliloquy while hearing classical music played on a pair of headphones. Bertie is frustrated at the experiment but Lionel gives him the acetate recording that he has made of the reading as a souvenir. After Bertie's father, King George V, broadcasts his 1934 Royal Christmas Message, he explains to Bertie that the wireless will play a significant part in the role of the royal family, allowing them to enter the homes of the people, and that Bertie's brother's neglect of his responsibilities make training in it necessary. The attempt at reading the message himself is a failure, but that night Bertie plays the recording Lionel gave him and is astonished at the lack of stutter there. He therefore returns for daily treatments to overcome the physical and psychological roots of his speaking difficulty. George V dies in 1936, and his eldest son David ascends the throne as King Edward VIII. A constitutional crisis arises with the new king over a prospective marriage with the twice-divorced American socialite Wallis Simpson. Edward, as head of the Church of England, cannot marry her, even if she receives her second divorce, since both her previous husbands are alive. At an unscheduled session, Bertie expresses his frustration that, while his speech has improved when speaking to most people, he still stammers when talking to David, at the same time revealing the extent of Edward VIII's folly with Simpson. When Lionel insists that Bertie himself could make a good king, Bertie accuses Lionel of speaking treason and quits Lionel in anger. Bertie must now face the Accession Council without any assistance. Bertie and Lionel only come together again after King Edward decides to abdicate in order to marry. Bertie, urged ahead by Prime Minister Stanley Baldwin, ascends the throne as King George VI and visits Lionel's home with his wife before their coronation, much to the surprise of Mrs. Logue when she comes upon Queen Elizabeth having tea at her dining room table. This is the first time that she learns who her husband's patient has been. Bertie and Lionel's relationship is questioned by the King's advisors during the preparations for his coronation in Westminster Abbey. The Archbishop of Canterbury, Cosmo Gordon Lang, brings to light that George never asked for advice from his advisors about his treatment and that Lionel has never had formal training. Lionel explains to an outraged Bertie that at the time he started with speech defects there were no formal qualifications and that the only known help that was available for returning Great War shell-shocked Australian soldiers was from personal experience. Bertie remains unconvinced until provoked to protest at Lionel's disrespect for King Edward's Chair and the Stone of Scone. Only at this pivotal moment, after realising he has just expressed himself without impediment, is Bertie able to rehearse with Lionel and complete the ceremony. As the new king, Bertie is in a crisis when he must broadcast Britain's declaration of war with Nazi Germany in 1939. Lionel is summoned to Buckingham Palace to prepare the king for his address to Britain and the Empire. Knowing the challenge that lies before him Lang, Winston Churchill, and Prime Minister Neville Chamberlain are present to offer support. The King and Logue are then left in the broadcasting room. He delivers his speech with Logue conducting him, but by the end he is speaking freely. Preparing to leave the room for the congratulations of those present, Logue mentions to the King that he still has difficulty enunciating w and the King jokes back, "I had to throw in a few so they'd know it was me." As the Royal Family step onto the palace balcony and are applauded by the crowd, a title card explains that Logue, who received the Royal Victorian Order for service to the Crown, was always present at King George VI's speeches during the war and that they remained friends until the King's death from lung cancer in 1953. Not a great deal was written about His Majesty's speech therapist, Lionel Logue, certainly not in the official biographies. Nor was much published about the Royal stutter; it appeared to be a source of profound embarrassment. As a child, David Seidler developed a stammer, which he believes was caused by the emotional trauma of World War II and the murder of his grandparents during the Holocaust. King George VI's success in overcoming his stammer inspired the young Seidler, "Here was a stutterer who was a king and had to give radio speeches where everyone was listening to every syllable he uttered, and yet did so with passion and intensity." When Seidler became an adult, he resolved to write about King George VI. During the late 1970s and 1980s he voraciously researched the King, but found a dearth of information on Logue. Eventually Seidler contacted Valentine Logue, who agreed to discuss his father and make his notebooks available if the Queen Mother gave her permission. She asked him not to do so in her lifetime, and Seidler halted the project. 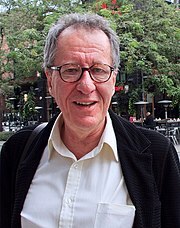 The film's producers broke etiquette by hand-delivering Geoffrey Rush the script; he eventually produced the film as well as performing in it. The Queen Mother died in 2002. Three years later, Seidler returned to the story during a bout of creative work inspired by a recovery from cancer. His research, including a chance encounter with an uncle whom Logue had treated, indicated he used mechanical breathing exercises combined with psychological counselling to probe the underlying causes of the condition. Thus prepared, Seidler imagined the sessions. He showed the finished screenplay to his wife, who liked it, but pronounced it too "seduced by cinematic technique". She suggested he rewrite it as a stage play to focus on the essential relationship between the King and Logue. After he had completed it, he sent it to a few friends who worked in theatre in London and New York for feedback. In 2005, Joan Lane of Wilde Thyme, a production company in London, received the script. Lane started talking with Simon Egan and Gareth Unwin of Bedlam Productions, and they invited Seidler to London to rewrite the play again, this time for the screen. Together, Lane and Bedlam Productions organised a reading of the play in Pleasance Theatre, a small house in north London, to a group of Australian expatriates, among whom was Tom Hooper's mother. She called her son and said, "I've found your next project". Instead of trying to contact his agent, Lane asked an Australian staff member to hand-deliver the script to Geoffrey Rush's house, not far away from hers in Melbourne. Unwin reports that he received a four-page e-mail from Rush's manager admonishing them for the breach of etiquette, but ending with an invitation to discuss the project further. Iain Canning from See-Saw Films became involved and, in Gareth Unwin's words: "We worked with ex-chair of BAFTA Richard Price, and started turning this story about two grumpy men sitting in a room into something bigger." Hooper liked the story, but thought that the original ending needed to be changed to reflect events more closely: "Originally, it had a Hollywood ending ... If you hear the real speech, he's clearly coping with his stammer. But it's not a perfect performance. He's managing it." The production team learned—some nine weeks prior to the start of filming—of a diary containing Logue's original notes on his treatment of the Duke. They then went back and re-worked the script to reflect what was in the notes. Hooper said some of the film's most memorable lines, such as at the climax, when Logue smiles, "You still stammered on the W" to the King, who replies, "I had to throw in a few so they would know it was me" were direct quotations from Logue's notes. Changes from the script to reflect the historical record included Michael Gambon improvising the ramblings of George V as he signed away authority, and the decision in the opening scene to dress the Duke in an overcoat rather than regal finery. Seidler thought Paul Bettany would be a good choice to play King George VI, Tom Hooper preferred Hugh Grant, though both actors refused the offer. Once they met with Firth and heard him read for the part, Seidler and Hooper were convinced of his suitability for the role. The UK Film Council awarded the production £1 million in June 2009. Filming began in December 2009, and lasted 39 days. Most was shot in the three weeks before Christmas because Rush would be performing in a play in January. The schedule was further complicated by Bonham Carter's availability: she worked on Harry Potter during the week, so her scenes had to be filmed during the weekend. The Pullens buildings with a 1930s advertisement. Period dramas rely to an extent on the quality of production, so combining regal opulence with scruffy, depression-era London on the relatively limited £8 million budget presented a challenge. On 25 November 2009 the crew took over the Pullens buildings in Southwark. To emphasise Logue's humble background, the entire street was transformed into one from 1930s London. Large advertisements for (among other things) Bovril and fascism were added to walls, grit and grime to streets and buildings. To reproduce London smog of the time – thick enough that cars might need guidance from someone walking ahead – so much artificial smoke was used that fire alarms were triggered. On 26 November, a week's filming with Firth, Rush, and Jacobi began at Ely Cathedral, the location used for Westminster Abbey. The production had asked for permission to film in the Abbey but were denied due to the demands of tourism. Though Lincoln Cathedral is architecturally a closer match to the Abbey, they preferred Ely, a favoured filming location. Its size allowed them to build sets showing not just the coronation, but the preparations before it. Lancaster House, an opulent government-owned period house in London, was rented (at £20,000 per day) for interior scenes of Buckingham Palace. The 1936 Accession Council at St. James's Palace, where George VI swore an oath, was filmed in the Livery Hall of Drapers' Hall. The room, ornate and vast, met the occasion: the daunting nature of the new King's responsibilities was shown by surrounding him with rich detail, flags and royal portraiture. The crew investigated Logue's former consultation rooms, but they were too small to film in. Instead, they found a high, vaulted room not far away in 33 Portland Place. Eve Stewart, the production designer, liked the mottled, peeling wallpaper there so much that she recreated the effect throughout the entire room. In his DVD commentary, Hooper said he liked Portland Place as a set because it felt "lived-in", unlike other period houses in London. The scenes of the Duke of York at home with his family were also filmed here; showing the Prince living in a townhouse "subverted" expectations of a royal drama. The opening scene, set at the closing ceremony of the 1925 British Empire Exhibition at Wembley Stadium, was filmed on location at Elland Road, home of Leeds United, and Odsal Stadium, home of Bradford RLFC. Elland Road was used for the speech elements of the prince stammering his way through his first public address, and Odsal Stadium was selected because of the resemblance of its curved ends to Wembley Stadium in 1925. The crew had access to the stadium only at 10 pm, after a football game. They filled the terraces with inflatable dummies and over 250 extras dressed in period costumes. Live actors were interspersed to give the impression of a crowd. Additional people, as well as more ranks of soldiers on the pitch, were added in post-production with visual effects. Other locations include Cumberland Lodge, Harley Street, Knebworth, Hatfield House, the Old Royal Naval College in Greenwich, Queen Street Mill Textile Museum in Burnley, and Battersea Power Station, which doubled as a BBC wireless control room. The final cut of the film was completed on 31 August 2010. In developing his portrayal of George VI's stammer, Firth worked with Neil Swain, the voice coach for the film. His sister, Kate Firth, also a professional voice coach to actors, proposed exercises the King might have done with Logue, and made suggestions on how to imagine Logue's mix of physical and psychological coaching for the film. In addition, Firth watched archive footage of the King speaking. In an interview with Allan Tyrer published by the British Stammering Association, Swain said: "[It] was very interesting while we were working on the film just to think tonally how far we could go and should go with the strength of George's stammer. I think a less courageous director than Tom [Hooper] – and indeed a less courageous actor than Colin [Firth] – might have felt the need to slightly sanitise the degree and authenticity of that stammer, and I'm really really pleased that neither of them did." In May 2011 Firth said he was finding traces of the stammer difficult to eliminate: "You can probably hear even from this interview, there are moments when it’s quite infectious," he said. "You find yourself doing it and if I start thinking about it the worse it gets. If nothing else it’s an insight into what it feels like." The film's original score was composed by Alexandre Desplat. In a film about a man struggling to articulate himself, Desplat was wary of overshadowing the dramaturgy: "This is a film about the sound of the voice. Music has to deal with that. Music has to deal with silence. Music has to deal with time." The score is a sparse arrangement of strings and piano (with the addition of oboe and harp in one cut), intended to convey the sadness of the King's muteness, and then the growing warmth of friendship between him and Logue. The minimalist approach emphasises the protagonist's struggle for control. Desplat used the repetition of a single note to represent the stickiness of the King's speech. As the film progresses, growing banks of warm strings swaddle the deepening friendship between the two leads. The music rises to a climax in the coronation scene. Hooper originally wanted to film the scene without music, but Desplat argued that it was the real climax of the story—the point when the friendship was ratified by their decision to trust each other. "That is really rare", said Desplat, "mostly you have love stories". To create a dated sound, the score was recorded on old microphones extracted from the EMI archives which had been specially made for the royal family. The music played during the broadcast of the 1939 radio speech at the climax of the film is from the 2nd movement (Allegretto) of Beethoven's 7th Symphony; it was added by Tariq Anwar, the editor. When Desplat later joined the team to write the music, he praised and defended Anwar's suggestion. Hooper further remarked that the stature of the piece helps elevate the status of the speech to a public event. The score was nominated for several awards, including Best Original Score at the Oscars, Golden Globes, and BAFTAs, winning the latter award. The score also won a Grammy at the 54th Grammy Awards. Hooper employed a number of cinematic techniques to evoke the King's feelings of constriction. He and cinematographer Danny Cohen used wider than normal lenses to photograph the film, typically 14mm, 18mm, 21mm, 25mm and 27mm, where the subtle distortion of the picture helps to convey the King's discomfort. For instance, the subjective point of view shot during the Empire exhibition speech used a close up of the microphone with a wider lens, similar to the filming technique used for one of the Duke's early consultations with a physician. In The New York Times, Manohla Dargis wrote that the feeling of entrapment inside the King's head was rendered overly literal with what she believed to be a fisheye lens, though in these scenes the wider lenses were used. Hooper also discussed using the 18mm lens, one he likes "because it puts human beings in their context". Roger Ebert noted that the majority of the film was shot indoors, where oblong sets, corridors, and small spaces manifest constriction and tightness, in contrast to the usual emphasis on sweep and majesty in historical dramas. Hooper used wide shots to capture the actors' body language, particularly that of Geoffrey Rush, who trained at L'École Internationale de Théâtre Jacques Lecoq in Paris and "is consequently brilliant in the way he carries his body". Hooper widened his scope first to capture Rush's gestures, then full body movements and silhouettes. The approach carried over to Firth as well. In the first consultation scene, the Duke is squeezed against the end of a long couch framed against a large wall, "as if to use the arm of the sofa as a kind of friend, as a security blanket?" Martin Filler praised the "low-wattage" cinematography of Danny Cohen's, as making everything look like it has been "steeped in strong tea". At other times, the camera was positioned very close to the actors to catch the emotion in their faces: "If you put a lens 6 inches from somebody's face, you get more emotion than if you're on a long lens 20 feet away," Cohen said in an interview. 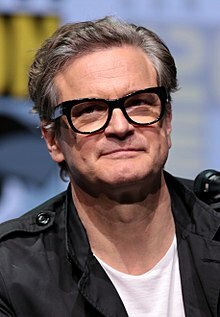 Hooper sought a second subtlety while filming the first consultation room scene between the two men, having placed the camera 18 inches from Colin Firth's face: "I wanted the nervousness of the first day to percolate into his performances," he said. Historical dramas traditionally tend to use "soft light", but Hooper wanted to use a harsher glare, which gives a more contemporary feel, and thus a greater emotional resonance. To achieve the effect, the lighting team erected huge blackout tents over the Georgian buildings and used large lights filtered through Egyptian cotton. The filmmakers not only tightened the chronology of the events to just a few years but even shifted the timeline of treatment. The Duke of York actually began working with Logue in October 1926, ten years before the abdication crisis, and the improvement in his speech was apparent in months rather than years as suggested by the film. When he was dispatched to Australia to open their new Parliament House in Canberra in 1927, the Duke gave numerous speeches during the journey and performed well despite Logue not accompanying him on the trip. He wrote to Logue from the Caribbean, "You remember my fear of ‘The King’. I give it every evening at dinner on board. This does not worry me any more." And of his speech opening Parliament it was observed that he spoke "resonantly and without stuttering". Robert Logue, a grandson of Lionel, doubted the film's depiction of the speech therapist, stating "I don't think he ever swore in front of the King and he certainly never called him 'Bertie'". Andrew Roberts, an English historian, states that the severity of the King's stammer was exaggerated and the characters of Edward VIII, Wallis Simpson, and George V made more antagonistic than they really were, to increase the dramatic effect. Christopher Hitchens and Isaac Chotiner have criticised the film for failing to indict the appeasement of the era or to portray Edward VIII’s sympathetic attitude to Nazi Germany. The Guardian also corrected the portrayal of Stanley Baldwin as having resigned due to his refusal to order Britain's re-armament, when he in fact stepped down as "a national hero, exhausted by more than a decade at the top". Hugo Vickers, an adviser on the film, agreed that the alteration of historical details to preserve the essence of the dramatic story was sometimes necessary. The high-ranking officials, for instance, would not have been present when the King made his speech, nor would Churchill have been involved at any level, "but the average viewer knows who Churchill is; he doesn't know who Lord Halifax and Sir Samuel Hoare (later Lord Templewood) are." Hitchens and Chotiner also challenged the film's portrayal of Winston Churchill's role in the abdication crisis. It is well established that Churchill encouraged Edward VIII to resist pressure to abdicate, whereas he is portrayed in the film as supportive of the Duke of York and not opposed to the abdication. Hitchens attributes this treatment to the "cult" surrounding Churchill's legacy. In a smart, well-made film "would the true story not have been fractionally more interesting for the audience? ", he wondered. Martin Filler acknowledged that the film legitimately used artistic licence to make valid dramatic points, such as in the probably imagined scene when George V lectures his son on the importance of broadcasting. Filler cautions that George VI would never have tolerated Logue addressing him casually, nor swearing, and the King almost certainly would have understood a newsreel of Hitler speaking in German. Filler makes the larger point that both the King and his wife were, in reality, lukewarm towards Churchill because of the latter's support for his brother during the abdication crisis. Commenting on the film's final scene on the balcony of Buckingham Palace, Andrew Roberts has written, "The scene is fairly absurd from a historical point of view – Neville Chamberlain and Winston Churchill were not present and there were no cheering crowds outside Buckingham Palace." But Roberts praises the film overall as a sympathetic portrayal of the King's "quiet, unassuming heroism [...] The portrayals by Firth and Bonham Carter are sympathetic and acute, and the movie’s occasional factual bêtises should not detract from that." The film had its world première on 6 September 2010 at the Telluride Film Festival in the United States. It was screened at the 2010 Toronto International Film Festival, on Firth's 50th birthday, where it received a standing ovation and won the People's Choice Award. The cinema release poster was re-designed to show an extreme close-up of Firth's jaw and a microphone after Hooper criticised the first design as a "train smash". Tim Appelo called the original, air-brushed effort, which showed the three leads, "shockingly awful" though the new one "really is worthwhile". The film was distributed by Transmission Films in Australia and by Momentum Pictures in the United Kingdom. The Weinstein Company distributed it in North America, Germany, Benelux, Scandinavia, China, Hong Kong, and Latin America. The film was released in France on 2 February 2011, under the title Le discours d'un roi. It was distributed by Wild Bunch Distribution. The film was initially given a 15 certificate by the British Board of Film Classification, due to a minute-long scene where Logue encourages the King to shout profanities, which he could do without stuttering. At the London Film Festival, Hooper criticised the decision, questioning how the board could certify the film "15" for bad language but allow films such as Salt (2010) and Casino Royale (2006) to have "12A" ratings, despite their graphic torture scenes. Following Hooper's criticism, the board lowered the rating to "12A", allowing children under 12 years of age to see the film if they are accompanied by an adult. Hooper levelled the same criticism at the Motion Picture Association of America, which gave the film an "R" rating, preventing anyone under the age of 17 from seeing the film without an adult. In his review, Roger Ebert criticised the "R" rating, calling it "utterly inexplicable", and wrote, "This is an excellent film for teenagers." In January 2011 Harvey Weinstein, the executive producer and distributor, said he was considering having the film re-edited to remove some profanity, so that it would receive a lower classification and reach a larger audience. Hooper, however, refused to cut the film, though he considered covering the swear words with bleeps. Helena Bonham Carter also defended the film, saying, "[The film] is not violent. It's full of humanity and wit. [It's] for people not with just a speech impediment, but who have got confidence [doubts]." 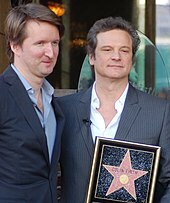 After receiving his Academy Award, Colin Firth noted that he does not support re-editing the film; while he does not condone the use of profanity, he maintains that its use was not offensive in this context. "The scene serves a purpose", Firth states. An alternate version, with some of the profanities muted out, was classified as "PG-13" in the United States; this version was released to cinemas on 1 April 2011, replacing the R-rated one. The PG-13 version of this film is not available on DVD and Blu-ray. In Great Britain and Ireland, the film was the highest earning film on its opening weekend. It took in £3,510,000 from 395 cinemas. The Guardian said that it was one of the biggest takes in recent memory, and compared it to Slumdog Millionaire (2008), which, two years earlier, earned £1.5 million less. The King's Speech continued a "stunning three weeks" atop the UK Box office, and earned over £3 million for four consecutive weekends, the first film to do so since Toy Story 3 (2010). After five weeks on UK release, it was hailed as the most successful independent British film ever. In the United States The King's Speech opened with $355,450 (£220,000) in four cinemas. It holds the record for the highest per-cinema gross of 2010. It was widened to 700 screens on Christmas Day and 1,543 screens on 14 January 2011. It eventually made $138 million in North America overall. In Australia The King's Speech made more than A$6,281,686 (£4 million) in the first two weeks, according to figures collected by the Motion Picture Distributors Association of Australia. The executive director of Palace Cinemas, Benjamin Zeccola, said customer feedback on the film was spectacular. "It's our No.1 for all the period, all throughout the country. ... I think this is more successful than Slumdog Millionaire and a more uplifting film. It's a good example of a film that started out in the independent cinemas and then spread to the mainstream cinemas." Of the film's net profit, estimated to amount to $30–40 million (£20–25 million) from the cinema release alone, roughly 20% was to be split between Geoffrey Rush (as executive producer), Tom Hooper and Colin Firth, who were to receive their bonuses before the other stakeholders. The remaining profit was to be split equally between the producers and the equity investors. The UK Film Council invested £1 million of public funds from the United Kingdom lottery into the film. In March 2011 Variety estimated that the return could be between fifteen and twenty times that. The Council's merger into the British Film Institute means that the profits were to be returned to that body. As the actor of the year in the film of the year, I can't think of enough adjectives to praise Firth properly. The King's Speech has left me speechless. The King's Speech has received widespread critical acclaim, with Firth's performance receiving universal praise. Bonham Carter and Rush were also widely praised with both going on to win BAFTAs and receiving Academy Award nominations Review aggregator Rotten Tomatoes gives the film a score of 94% based on reviews from 289 critics; the film's average rating was calculated as 8.62/10. The website's critical consensus reads: "Colin Firth gives a masterful performance in The King's Speech, a predictable but stylishly produced and rousing period drama." Metacritic gave the film a weighted score of 88/100, based on 41 critical reviews, which indicates "universal acclaim". CinemaScore reported that audiences gave the film a rare "A+" grade.Empire gave the film five stars out of five, commenting, "You'll be lost for words." Lisa Kennedy of the Denver Post gave the film full marks for its humane qualities and craftsmanship: "It is an intelligent, winning drama fit for a king – and the rest of us", she said. Roger Ebert of the Chicago Sun-Times awarded the film a full four stars, commenting that "what we have here is a superior historical drama and a powerful personal one." Peter Bradshaw of The Guardian gave four stars out of five, stating, "Tom Hooper's richly enjoyable and handsomely produced movie ... is a massively confident crowd-pleaser." Manohla Dargis, whilst generally ambivalent towards the film, called the lead performances one of its principal attractions. "With their volume turned up, the appealing, impeccably professional Mr. Firth and Mr. Rush rise to the acting occasion by twinkling and growling as their characters warily circle each other before settling into the therapeutic swing of things and unknowingly preparing for the big speech that partly gives the film its title," she wrote. The Daily Telegraph called Guy Pearce's performance as Edward VIII "formidable ... with glamour, charisma and utter self-absorption". Empire said he played the role well as "a flash harry flinty enough to shed a nation for a wife." The New York Times thought he was able to create "a thorny tangle of complications in only a few abbreviated scenes". Hooper praised the actor in the DVD commentary, saying he "nailed" the 1930s royal accent. Richard Corliss of Time magazine named Colin Firth's performance one of the Top 10 Movie Performances of 2010. The British Stammering Association welcomed the release of The King's Speech, congratulating the film makers on their "realistic depiction of the frustration and the fear of speaking faced by people who stammer on a daily basis." It said that "Colin Firth's portrayal of the King's stammer in particular strikes us as very authentic and accurate." The Royal College of Speech and Language Therapists welcomed the film, and launched their "Giving Voice" campaign around the time of its commercial release. Allociné, a French cinema website, gave the film an average of four out of five stars, based on a survey of 21 reviews. Le Monde, which characterised the film as the "latest manifestation of British narcissism" and summarised it as "We are ugly and boring, but, By Jove!, we are right! ", nevertheless admired the performances of Firth, Rush, and Bonham Carter. It said that, though the film swept British appeasement under the carpet, it was still enjoyable. Slovenian Marxist philosopher and cultural critic Slavoj Žižek has incorporated the film into his critique of ideology by describing it as "reactionary," interpreting the king's stutter as evidence that he "displays a minimum of common sense, experiencing the stupidity of seriously accepting that one is king by divine will" and claiming that "the task of the Australian voice-coach is to render him stupid enough to accept his being a king as his natural property." Žižek thus interprets the king's stutter as a case of what is referred to in Lacanian psychoanalysis as "symbolic castration." Queen Elizabeth II, the daughter and successor of King George VI, was sent two copies of the film before Christmas 2010. The Sun newspaper reported she had watched the film in a private screening at Sandringham House. A palace source described her reaction as being "touched by a moving portrayal of her father". Seidler called the reports "the highest honour" the film could receive. At the 83rd Academy Awards, The King's Speech won the Academy Award for Best Picture, Best Director (Hooper), Best Actor (Firth), and Best Original Screenplay (Seidler). The film had received 12 Oscar nominations, more than any other film in that year. Besides the four categories it won, the film received nominations for Best Cinematography (Danny Cohen) and two for the supporting actors (Bonham Carter and Rush), as well as two for its mise-en-scène: Art Direction and Costumes. At the 64th British Academy Film Awards, it won seven awards, including Best Film, Outstanding British Film, Best Actor for Firth, Best Supporting Actor for Rush, Best Supporting Actress for Bonham Carter, Best Original Screenplay for Seidler, and Best Music for Alexandre Desplat. The film had been nominated for 14 BAFTAs, more than any other film. At the 68th Golden Globe Awards, Firth won for Best Actor. The film won no other Golden Globes, despite earning seven nominations, more than any other film. At the 17th Screen Actors Guild Awards, Firth won the Best Actor award and the entire cast won Best Ensemble, meaning Firth went home with two acting awards in one evening. Hooper won the Directors Guild of America Awards 2010 for Best Director. The film won the Darryl F. Zanuck Award for Best Theatrical Motion Picture at the Producers Guild of America Awards 2010. The King's Speech won the People's Choice Award at the 2010 Toronto International Film Festival, Best British Independent Film at the 2010 British Independent Film Awards, and the 2011 Goya Award for Best European Film from the Academia de las Artes y las Ciencias Cinematográficas de España (Spanish Academy of Cinematic Art and Science). Bertie & Elizabeth (2002), a television film which also addresses the stammering of the king (played by James Wilby). It was a co-production of PBS (Masterpiece Theatre) and Carlton Television. ^ "The King's Speech rated 12A by the BBFC". British Board of Film Classification. Archived from the original on 2 March 2012. Retrieved 17 September 2011. ^ Smith, N. (28 February 2011). "Oscars 2011: Film Council basks in King's Speech glory". BBC News. Retrieved 28 February 2011. ^ a b "Never mind the Baftas ... who will get The King's Speech riches?". The Guardian. Retrieved 28 February 2011. ^ a b "The King's Speech". Box Office Mojo. Retrieved 20 May 2011. ^ a b Walker, T. (20 January 2011) "Colin Firth was the third choice to play George VI in The King's Speech". The Daily Telegraph. Retrieved 20 August 2011. ^ a b c Seidler, D. (20 December 2010). "How the 'naughty word' cured the King's stutter (and mine)". Daily Mail. Retrieved 3 February 2011. ^ Spencer, Adam (21 January 2011). "The King's Speech: From Geoffrey Rush's letterbox to the big screen". 702 ABC Sydney. Retrieved 2 March 2011. ^ a b Gritten, D. (23 December 2010). "Tom Hooper Interview for the King's Speech". The Daily Telegraph. Retrieved 2 February 2011. ^ a b c Unwin, G. (3 January 2011). "Crowning Glory: How The King's Speech got made". The Independent. Retrieved 2 February 2011. ^ "Finding the real King's Speech". BBC. 4 January 2011. Retrieved 8 January 2011. ^ Addiego, Walter (4 February 2011). "Q&A with 'King's Speech' director Tom Hooper". San Francisco Chronicle. Retrieved 2 September 2011. ^ a b c d e f g Thomas Hooper (Director) (9 May 2011). The King's Speech (PAL)|format= requires |url= (help). Momentum Pictures Home Ent. ASIN: B0049MP72G. ^ "Awards database The King's Speech". UK Film Council. Retrieved 5 February 2011. ^ a b c d Bedell, G. (2 January 2011). "The King's Speech: How clever sets create a compelling picture of 1930s London" The Observer. Retrieved 2 February 2011. ^ Sparham, Laurie (10 December 2010). "The King's Speech: set report". The Daily Telegraph. London. Retrieved 28 May 2011. ^ Staff (25 November 2009). "Cathedral starring again in blockbuster". Cambridge News. Archived from the original on 12 January 2012. Retrieved 6 December 2009. ^ Staff (4 December 2009). "The King's Speech: Colin Firth and Bonham Carter in Ely". BBC Cambridgeshire. Retrieved 6 December 2009. ^ "The King’s Speech film locations". www.movielocations.com. Retrieved 4 August 2011. ^ Palmer, Martyn (6 February 2011). "The making of a very British smash hit". Daily Mail. Retrieved 25 March 2011. ^ Huddleston, Tom. "On the set of 'The King's Speech'". Time Out. Archived from the original on 18 October 2012. Retrieved 25 March 2011. ^ "Firth is lost for words as the monarch whose dilemma gripped the country". Yorkshire Post. 3 January 2011. Retrieved 30 January 2011. ^ "Dummies line terraces of Elland Road". Yorkshire Evening Post. 7 January 2011. Retrieved 30 January 2011. ^ "The King's Speech". UK Film Council. Archived from the original on 9 February 2011. Retrieved 6 October 2010. ^ a b Hoyle, Ben (9 September 2010). "Story of the King who was lost for words is an Oscar favourite". The Times. p. 23. ^ Dunbar, Polly (23 January 2011). "Revealed: The Little Sister Who Taught Colin Firth to Stammer". The Daily Mail. London. Retrieved 31 July 2011. ^ "The King's Voice". British Stammering Association. May 2011. Retrieved 10 May 2011. ^ Ward, Victoria (5 May 2011). "Colin Firth admits he is struggling to lose his stutter". The Daily Telegraph. Retrieved 21 July 2011. ^ a b c d Martens, T. (26 November 2010). "The sound of silence: Alexandre Desplat on the music that 'just floats' throughout 'The King's Speech'". Pop & hiss (LA Times music blog). Retrieved 9 February 2011. ^ McNab, K. (27 January 2011). "The King's Speech score review". www.soundonsight.org. Retrieved 9 February 2011. ^ Hooper, Tom (21 January 2011). "The King's Speech director Tom Hooper answers your questions – live!". The Guardian Film blog Retrieved on 6 July 2011 (archived by WebCite on 6 July 2011). ^ a b c d Appelo, T. (31 January 2011). "The 5 Secrets of Tom Hooper’s ‘King’s Speech’ Success". The Hollywood Reporter. Retrieved 9 February 2011. ^ a b Oppenheimer, Jean (December 2010). "Production Slate: A Future King Finds His Voice". American Cinematographer (American Society of Cinematographers) 91 (12): pp. 18–22. ^ a b c Dargis, M. (25 November 2010). "The King’s English, Albeit With Twisted Tongue". The New York Times. Retrieved 6 February 2011. ^ a b c Ebert, Roger (15 December 2010). "The King's Speech :Review". Rogerebert.suntimes.com. Retrieved 30 January 2011. ^ a b Filler, M. (25 January 2011). "Hollywood's Royal Stammer". NYR Blog. Retrieved 9 February 2011. ^ Schultz, Cathy (4 January 2011). "History in the Movies". The Bulletin. Retrieved 4 January 2011. ^ a b Logue, Mark; Conradi, Peter (2010). The King's Speech, How One Man Saved the British Monarchy. Sterling. pp. 73–75. ^ Meacham, S. (10 November 2011) King's voice coach calmed a nation. Sydney Morning Herald. Retrieved 20 August 2011. ^ "Lionel Logue 'never swore in front of King George VI'". BBC Radio Leicester. 27 January 2011. Retrieved 27 January 2011. ^ a b c Roberts, A. (6 January 2011). "How the King found his voice". The Daily Telegraph. London. Retrieved 30 January 2011. ^ a b Hitchens, Christopher (24 January 2011). "Churchill Didn't Say That". Slate. Retrieved 9 February 2011. ^ "Unthinkable? Historically accurate films". London: The Guardian. 29 January 2011. Retrieved 23 July 2011. ^ Henley, J. (9 January 2011). "How historically accurate is the King's Speech?". The Guardian. Retrieved 3 February 2011. ^ Chotiner, I. (6 January 2011). "Royal Mess". The New Republic. Retrieved 9 January 2011. ^ Zohn, Patricia (11 February 2011). "David Seidler Protects and Defends The King's Speech". Huffington Post. Retrieved 4 August 2011. ^ For critiques of the film, see e.g., Hitchens FN 47 and Chotiner FN 44. For historical sources substantiating Churchill's stance during the abdication crisis, see e.g., Roy Jenkins's biography of Churchill (2001) and Frances Donaldson's biography of Edward VIII (1976). ^ "Firth movie lands Toronto Film Festival prize". BBC News. 20 September 2010. Retrieved 6 October 2010. ^ "New Poster for 'The King's Speech' Keeps it Simple". The Film Stage. Retrieved 2 December 2010. ^ Appelo, T. (8 December 2010) "'The King's Speech' Poster and Queen Bonham Carter's Oscar Problem". The Hollywood Reporter. Retrieved 19 August 2011. ^ "The Weinstein Company Acquires The King's Speech". Comingsoon.net. 2 September 2009. Retrieved 6 December 2009. ^ "Colin Firth welcomes censors' reclassification decision". BBC News. 22 October 2010. Retrieved on 23 October 2010 (archived on 3 January 2011). ^ "The King's Speech". British Board of Film Classification. Retrieved on 23 October 2010 (archived by WebCite on 3 January 2011). ^ Goldstein, Patrick (1 November 2010). "To the MPAA ratings board, 'The King's Speech' is just as bad as 'Saw 3D'". The Big Picture (Tribune Company). Retrieved on 7 November 2010 (archived by WebCite on 3 January 2011). ^ Child, B. (26 January 2011). "King's Speech re-edit could cut swearing". The Guardian. Retrieved 2 February 2011. ^ Labrecque, J. (31 January 2011). "Tom Hooper on PG-13 'King's Speech': 'I wouldn't support cutting the film in any way' – EXCLUSIVE". Entertainment Weekly. Retrieved 5 February 2011. ^ Kemp, Stuart (1 March 2011). "Firth rejects 'cleaned-up' version of film". The Independent. Retrieved 21 July 2011. ^ "Scrubbed 'King's Speech' gets PG-13 rating". Los Angeles Times. 26 February 2011. Retrieved 27 February 2011. ^ Vilkomerson, Sara (24 March 2011). "'The King's Speech' to be re-released as PG-13 version on April 1". Entertainment Weekly. Retrieved 28 May 2011. ^ Gant, C. (11 January 2011). "The King's Speech rouses Britain to the box office". The Guardian Blog Retrieved 3 February 2011. ^ Gant, C. (1 February 2011). "Tangled's revamped princess tale dethrones The King's Speech". The Guardian Blog Retrieved 3 February 2011. ^ "Arthouse Audit: 'King's Speech' Has Royal Debut". Box Office Mojo. Retrieved 1 December 2010. ^ Kwek, Glenda (6 January 2010). "Stutterly marvellous: why we clamour for the stammer story". The Sydney Morning Herald. Retrieved 7 January 2011. ^ Dawtrey, Adam (12 March 2011). "Slicing 'King's' profit pie". Variety. Retrieved 4 August 2011. ^ Reed, R. (22 November 2010). "Did I Stutter? The King’s Speech Is the Best Movie of the Year". New York Observer. Retrieved 8 February 2011. ^ Holland, James R. (4 January 2010). "Movie Review: The King's Speech" Archived 12 March 2012 at the Wayback Machine. California Chronicle. Retrieved 4 January 2010. ^ Safaya, Rubin (17 December 2010). "The King’s Speech". www.cinemalogue.com. Retrieved 4 January 2010. ^ "The King's Speech (2010)". Rotten Tomatoes. Fandango Media. Retrieved 24 March 2019. ^ "The King's Speech Reviews". Metacritic. CBS Interactive. Retrieved 27 February 2018. ^ a b "The King's Speech Review | Empire". Empireonline.com. Retrieved 30 January 2011. ^ Kennedy, Lisa (24 December 2010). "Movie review: 'The King's Speech' is, in a word, excellent" The Denver Post. Retrieved 4 January 2010. ^ Bradshaw, Peter (21 October 2010). The King's Speech – review. The Guardian. Retrieved 30 January 2011. ^ Gritten, D. (21 October 2010). "The King's Speech, London Film Festival Review". The Daily Telegraph. Retrieved 3 February 2011. ^ Corliss, Richard (9 December 2010). "The Top 10 Everything of 2010 – Colin Firth as King George VI in The King's Speech". Time. Retrieved 13 December 2011. ^ "British Stammering Association comments on The King's Speech". BSA. Retrieved 17 March 2011. ^ McVeigh, Tracy (6 February 2011). "The King's Speech: spending cuts threaten £765m legacy of speech and language therapy". The Guardian. London. Retrieved 8 June 2011. ^ Žižek, Slavoj. (22 May 2012). "Less Than Nothing: Hegel and the Shadow of Dialectical Materialism". Verso Books. Retrieved 1 February 2016. ^ "Queen Elizabeth Praises 'The King's Speech' - BBC America". BBC. ^ Larcombe, D. (4 February 2011). "The King's a hit with the Queen". The Sun. Retrieved 5 February 2011. ^ "Queen 'approves' of King's Speech". BBC News. 5 February 2011. Retrieved 6 February 2011. ^ Reynolds, Simon (13 February 2011). "Live: BAFTA Film Awards 2011 Winners". Digital Spy. Hachette Filipacchi UK. Retrieved 13 February 2011. ^ "Glee and The Social Network dominate Golden Globes". BBC News. 17 January 2011. Retrieved 17 January 2011. ^ Kilday, G. (3 February 2011). "Can Harvey Weinstein Keep 'The King's Speech' Oscar Mojo?". The Hollywood Reporter. Retrieved 8 February 2011. ^ Germain, D. (30 January 2011). "Hooper earns top DGA prize for 'King's Speech'". The Huffington Post. Retrieved 8 February 2011. ^ McNary, D. (24 January 2011). "PGA prizes 'King's Speech'". Variety. Retrieved 9 February 2011. ^ "Firth movie lands Toronto Film Festival prize". BBC News. 20 September 2010. Retrieved 20 September 2010. ^ "King's Speech reigns at British Independent Film awards". BBC News. Retrieved 28 February 2011. ^ "King's Speech wins 'Spanish Oscar'". The Daily Telegraph. London. 14 February 2011. Retrieved 14 February 2011. Bowen, C (2002), "Lionel Logue: Pioneer speech therapist", Speech Language Therapy, retrieved 1 January 2011 . Hitchens, Christopher (21 February 2011). "The King's Speech Revisited". Slate. A second article by Hitchens discussing the film's interpretation of history, and some rebuttals to Seidler's response. Logue, Mark; Conradi, Peter (2010), The King's Speech: How One Man Saved the British Monarchy (Lionel Logue's grandson and a Sunday Times journalist), New York: Sterling, ISBN 978-1-4027-8676-1 . Rhodes James, Robert (1998). A spirit undaunted: the political role of George VI. London: Little, Brown & Co. ISBN 0-316-64765-9. Retrieved 6 October 2010. St Claire, M (2 January 1937), "An Australian Cures Defect in King's Speech", The Australian Women's Weekly, p. 12 . Wikimedia Commons has media related to The King's Speech.